Heat: None. This is a middle grade novel. There is no romance of any kind. Profanity: None, not even substitute profanity. Violence: Nick’s sister Erma comes close to having a violent end but is saved just in time. There is one scene where the main character is reading about the aftermath of a battle. At one point in the scene it depicts a character who has been shot and is dying until someone intervenes. Age recommendation: Eight and up, based on the reading level and the violence referred to above. Cost Today: $6.99 on Kindle and $10 in paperback (including delivery). Nick Newton is not a genius. Unfortunately for him, most of his family are geniuses. In the most compassionate way, Nick is informed that he is not smart enough to attend the Institution For Children of Superior Intellectual Merit like his big sister Erma (a certified genius, naturally). His parents don’t value him any less, of course, but it still stings. In the most compassionate way, nick is informed that he is not smart enough to attend the Institution For Children of superior intellectual merit like his big sister emma…. Nick is still smarting from the school rejection when he comes across a drawing in one of Grandfather’s old notebooks depicting a mechanical bird, which he finds in pieces in a box. Through a series of adventures, Nick finds that even kids who are not geniuses can make great discoveries, that not everything that kids say is true, and that who you are is more important than your IQ. I loved this book! Our society is so caught up in who has the highest IQ that we often forget that being smart does not necessarily make you someone that other people want to be around. There aren’t any explicitly Christian features in this book, but there are plenty of examples of how to be kind and put the well- being of others before your own. I do wish there had been more illustrations. our society is so caught up in who has the highest iq that we often forget that being smart does not necessarily make you someone that other people want to be around. This book is a rare find. I don’t think I can name another book written from a middle grade perspective that has a steampunk vibe to it. As a parent, I’m so tired of seeing middle grade novels for boys that are full of things like underpants and slime. 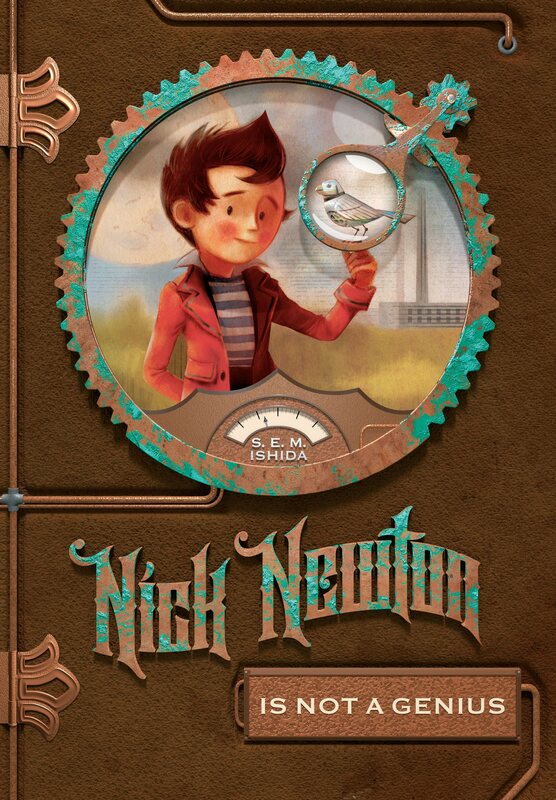 A book about a boy that is full of robots, science fairs and inventions is refreshing! I’m planning to purchase a copy this Christmas for a middle grader I know. I hope you will too.